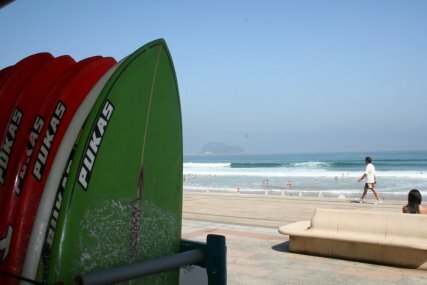 Zarautz is Spain's most famous surf town and has produced some of the country's best surfers. It is a great base for a surfing holiday in Spain. You can spend all your time on the beach or mix it up with day surf trips to San Sebastian (20 minutes away), Mundaka, Bilbao or Biarritz & Hossegor in France - all within an hours drive. The streets of Zarautz's old town are packed with bars, cafés, restaurants and shops but the main attraction is the 2.5km surf beach. It's a beginners and intermediate surfers paradise. Running alongside the beach is the promenade filled with restaurants, bars, outdoor basketball courts, table tennis, skate park and more. Zarautz is well known as Spain's main surf town and home to some of Spain's most consistent surf. It is a true Basque town and is an entirely different from the overseas tourism of Southern Spain. Gastronomy plays an important role in the town which is home to one of the leading culinary schools in Spain. This has led to a mix of quality restaurants, offering both modern and traditional Basque dishes! It is the longest beach in the Basque Country, with 2.5km's of surf, making it hard to make time for anything else. The town's promenade runs the length of the beach and is a perfect place to hang out, have some lunch, shop in the market stalls, sunbath & enjoy the summer beach vibe. The promenade has many public facilities to enjoy - skate board area, basketball courts, bicycle lanes and table tennis courts. 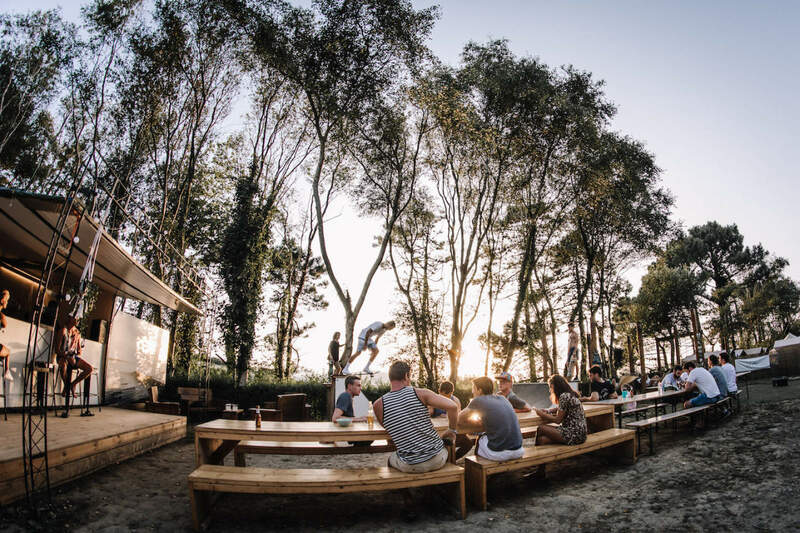 When evening draws in the bars and restaurants will start to fill - DJs, musicians and street performers will crowd the promenade and the whole town comes to life. A few streets back from the beach is the charming old Historic quarter - with a square filled with cafes, bars and restaurants - and many streets to be explored with intriguing shops and architecture. On the east side of town is the Real Golf Club de Zarautz. It is a links course opened in 1916 and one of Spains oldest and most picturesque courses. The spectacular provincial capital of San Sebastian is less than 20kms away - a day trip is essential with easy access by train and bus. There are many beautiful beaches and delightful old towns along the coast that are worth exploring as much for surf as for their character and charm...Orio and Zumaia are ones to note. A few kms west of the town is Getaria, a lovely fishing town with a very picturesque peninsula - the village dates back to medieval times with many historic buildings. It's a 30 minute walk, nice place to spend an afternoon if the surf is flat! Bilbao is 90kms West where you can visit the famous Guggenheim Museum and the old quarter. Zarautz is part of the Basque Country in North Spain. 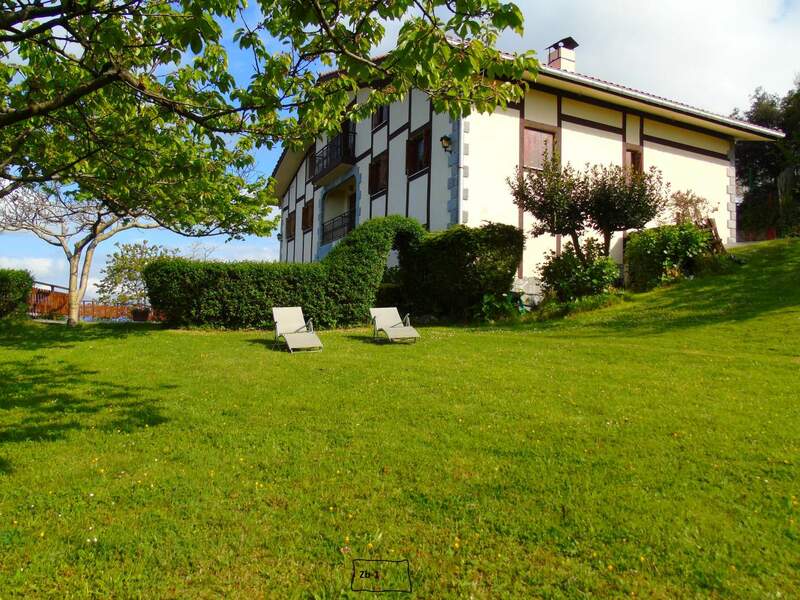 It is 20kms from San Sebastian, 85kms from Bilbao and 65kms from Biarritz. San Sebastian only has a small domestic airport so the best International airports to use are Biarritz or Bilbao. Both cities are very well connected to Zarautz via Train or Bus. Please note to check airports as new routes & airlines may begin operating at any time. 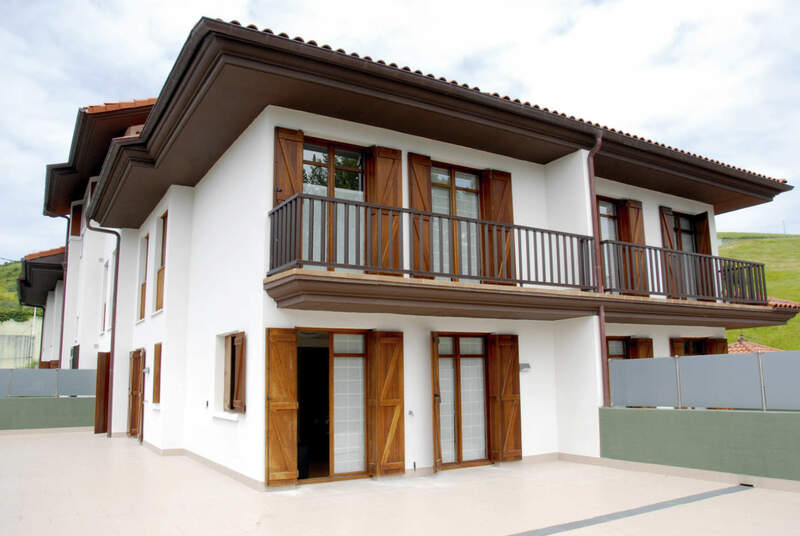 Biarritz is a very convenient airport to get to Zarautz. It is only 70kms away (30 minute drive) in South West France. You can get the bus from Biarritz to San Sebastian with bus company www.pesa.net. It takes about 1 hour and 20 minutes. The bus departures from Biarritz city centre, next to the Local Tourist Office. Take a taxi or a bus (Line Number 6) from Biarritz Airport to the Biarritz Local Tourist Office bus stop. It will take 15 minutes. From there get the bus to San Sebastian. Once you arrive in San Sebastian you can get a connecting bus or a train (both take 20-30 mins) for a few Euro that takes you to Zarautz. Once you arrive in San Sebastian you can get a connecting bus or a train (both take 20-30 mins) for just a few Euro on to Zarautz. We have a discount car hire section on our website where you can rent a car. 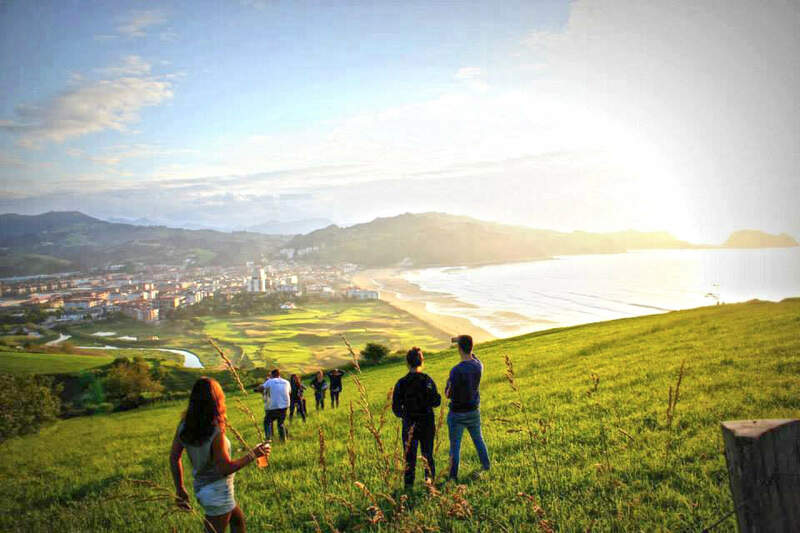 Zarautz is Spain's foremost Surf town - its beach is 2.5km of highly consistent surf offering many different peaks for all standards of surfers. The town is a great place to learn how to surf and has been home to many of Spain's Champion surfers including Aritz Arinburu. Every September it hosts an WSL surf event with all the world's top Pro's out competing for the title. A few kms East towards San Sebastian you'll find Orio - a very nice beachbreak in beautiful surroundings. Further East is San Sebastian and it's city surf beach La Zurriola. Biarritz, France is 70 kms away. Hossegor & Capbreton are a bit further, 90kms away, both a great day trip.